The much-anticipated Lollipop update promises to make Android even more awesome - but for some Samsung owners it’s been a big disappointment. 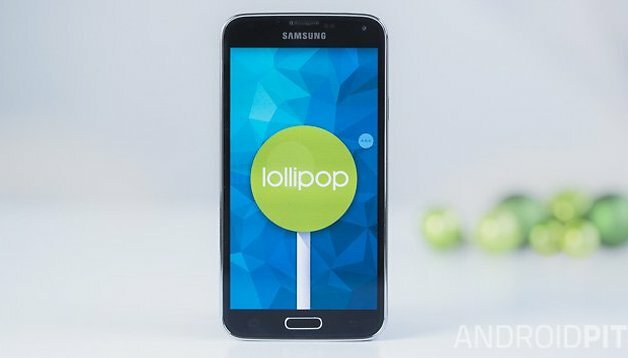 Forums are packed with reports of Samsung Galaxy S5 Lollipop problems. Here’s what they are along with the top fixes and improvements. Don’t have an S5 but still have Lollipop problems? Our guide to common Lollipop flaws and fixes is over here! Before you install any major Android update it’s a very good idea to take a few sensible precautions. Dig out the login details for any online accounts you use - the update may reset your apps and require you put the details back in again - and give your Galaxy a good spring cleaning to get rid of any stuff you don’t need. Uninstall unwanted apps, update the ones you’re keeping, pare back your photo library and of course, make absolutely sure that you have backup copies of anything that matters to you. Most Android updates go perfectly smoothly but you should always expect the worst. That way, when it doesn’t happen you’ll be pleasantly surprised. Oh, and connect your Galaxy to the charger or ensure it has a full battery before you install the update. The most common post-update issue for any OS is sluggish performance, and you can fix that by removing app data and wiping the cache partition. The cache partition is where the OS stores temporary system stuff such as downloads, and if it get messy it can hit your phone’s performance. App data first. Go into Settings > Apps and choose the app whose data you want to clear. Tap Clear Data and then Clear Cache to make it all shiny, and repeat for other apps you suspect are hogging space. Once you’ve done that, turn off your phone and then press and hold the home, power and volume down buttons. Wait until the phone vibrates and the Samsung logo appears before letting go, and then use the volume down button to navigate to Wipe Cache Partition. Select that and go and do something else for a while - the process can be time consuming. Reboot your phone when it’s finished. Still no joy? If the problem appears to affect specific apps only, uninstalling, rebooting and reinstalling is dull but often works, and there’s also the nuclear option of a full factory reset, which cleans the parts other settings can’t reach. Once again, it’s really important to ensure you have backups of any data you can’t afford to lose and that you’ve got a note of any logins and other key information. If Lollipop is eating battery life, boot into Safe Mode by switching the phone off and then pressing and holding the Power button and volume-down button until the phone reboots. You can tell whether you’re in safe mode because if you are, the screen displays the words “safe mode”. Cunning. This disables third-party apps that might be draining the battery in the background, enabling you to see whether the problem is with Lollipop itself or more likely, an app that isn’t behaving properly. It’s possible that even after disabling apps, your battery will continue to drain: we’re seeing unhappy Galaxy owners on Verizon and Sprint forums talking about too-fast battery draining. That one may require a Lollipop update from the network providers or from third parties. At the risk of sounding like a bored IT tech, have you tried turning it off and turning it back on again? A quick reboot often repairs mysterious connectivity issues. If your Wi-Fi is still wonky, pop into Settings and disable Battery Saver (if it’s on), and try forgetting the network you’re trying to connect to - but make sure you’ve got the password handy, because you’ll need it when you reconnect. As much as we love Lollipop, if it won’t play nice on your Galaxy there’s no point in putting up with it. If you find yourself pining for the golden days of Android KitKat, there is a way to downgrade your phone again. Simply search for “Galaxy S5 downgrade from Lollipop to KitKat” and you’ll find stacks of how-to guides, but make sure you’re looking at the right one for your particular model and territory: there may be differences between Galaxy models and between different operators’ settings. It’s not particularly difficult or time-consuming but you’ll need to get your hands on the Odin firmware tool from Samsung and the correct firmware for your phone and territory, and you’ll need to wipe the phone’s data when you’re done. Do you have a Galaxy S5 running Lollipop? Did it make your phone more lickable or are you desperate to downgrade? Let us know in the comments - and let us know if you’ve found any other great S5 tips! I have Galaxy S5 SM-G900F The UAE model, whel will I get the lollipop 5 update ?? Get a hammer, take your Galaxy device into your garden and smash your device to smithereens. Now buy a phone that actually works, just not an Android phone. My Galaxy Note 4 is now a disgrace. We literally had a firm device against iPhone users. Now we're the laughing stock of the phone world. I'm not regretting downloading this update at all. it is working great on my S5. I never had to remove cache or perform any other operations to get it right. There is no such problem like battery draining, overheating, lagging, etc. In fact the battery life is improved and the performance is much better. If you download GO locker and open it up the third or fourth option is to disable system lock, that can help you out concerning those cases. My s4 crashed so Sprint gave me an s5. Within 10 hours of activation, it upgraded to lollipop. There are some really annoying features. Why do I have to choose a password, pattern, or fingerprint to unlock. Choosing "none" is not available. Got Lollipop on my S5 this morning. Everything crashed afterwards. Phone constantly freezes, screen won't turn on when I press the power button for a second, consistently reboots then freezes. Took it to the Verizon store where they did a hard reboot which fixed the problem for about 10 minutes. Took it back in and they ordered me a new phone. Bad part is I without a phone until Monday. Definitely not a fan of Lollipop. Or you could do what I did and install a ROM by LiquidSmooth that is Lollipop 5.0.2 and runs flawless and so much smoother than the stock ROM that comes with, in my case, the Note 4. So so happy now. I only have one complaint!! When I put my phone on silent, my alarm doest ring. Before, when you have it on silent, alarm will ring. Is there a way to have this fixed? I am hoping the. BAttery saver will work. My phone is not charging correctly, and it won't hold a charge. I do not like the update as of right now. This update reaked havok on my phone. Trying the quick fixes but my phone is still over heating and having connection problems. -_- smh Neither my provider or samsung would help. Switching to iphone after I get this paid off. I did the update OTA thru Sprint. TG I haven't had any major issues thus so far so good. I like the new notification style. You're able to see messages, emails and other notifications from the lock screen. I think it lagged performance at the beginning, but the after I cleaned up the cache is running better. I would have prefer to keep the way it looked when ur closing apps instead of the window closing down. I think how Kitkat had it disolving in the middle it was a little more innovative. The one thing I dislike is how Lollipop for s5 changed the color scheme. It was a big difference from the old darker colors to the bright blinding white. But I am trying to get used to it. Hopefully in future version update it can give you options. It's improving in some areas, but I didn't have any issues with the way Kitkat ran or looked. It's always nice to get new updates though . Glad samsung and android is looking out to keeping up with its devices. I do recommend, to whoever is doing the update to check out the difference specs and looks before updating their devices. i've not had any issues or problems with lollipop my end UK Sim Free SM-G900F, it's been a vast improvement over KitKat, smoother, feels faster in performance, better battery life, and i certainly haven't had any WiFi or Bluetooth issues. update to lollipop, do a full wipe factory reset, setup as a new device to avoid having any issues. Where do you access the new battery saver?